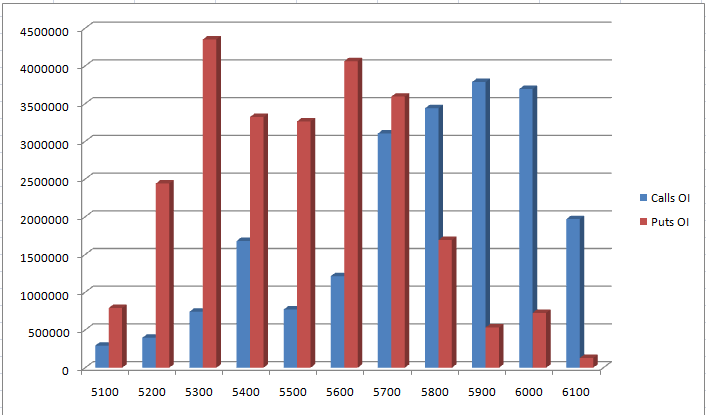 Currently 5300PE holds the higher open interest across the november options series. More weakness likely to persist in this series as 5712 and 5741 are the zones which act as a strong resistnace areas for this series. But it is little early to say that 5300 will be a potential support for this series as the series just stated.